The name of the crow family as Corvidae was mentioned by English zoologist William Elford Leach (as Corvidæ, which was preference in those days), who used it first in 1820 in the Synopsis of the Contents of the British Museum (London: Richard and Arthur Taylor, 1820), 67. Leach was not named as author in the publication itself, though authorship has been assigned to him for being the Assistant Keeper of the Natural History Department of the British Museum, London. The etymology of Corvidae points to Corvus – from Latin corvus = raven, and the Latin suffix -idae, which is a transliteration of Greek -ίδης (-ídēs), a patronymic suffix. Corvus = Raven – Latin corvus = raven – described by Carl Linnaeus (as Caroli Linnæi) in his Systema naturae (10th edn., Holmiae: Impensis Laurentii Salvii, 1758), i. 105; 46 species (see Crows 1). True Nuthatches can be found in three ecozones, Indomalaya, Palearctic and Nearctic, with most species present in the Indomalaya zone. The IOC World Bird List assigns 28 species to the Sitta genus. Sitta is assigned to Linneaus (of course) while the name was used by Conrad Gessner in reference to Aristotle‘s Sittē in his Historia animalium. The latter described nuthatches as follows: ‘The bird called sitta is quarrelsome, but clever and tidy, makes its living with ease, and for its knowingness is regarded as uncanny; it has a numerous brood, of which it is fond, and lives by pecking the bark of trees’ (transl. D’Arcy Wentworth Thompson, 1910). This reference could be to any of the three species found around the Greece of Aristotle: Eurasian Nuthatch, Krüper’s Nuthatch and Western Rock Nuthatch. The 28 species translate as follows. Eurasian Nuthatch – Sitta europaea = European Nuthatch – from Latin europaeus = European – described by Linneaus in the 1758 edition of his Systema naturae10 (Holmiae: Impensis Laurentii Salvii, 1758) p. 115. Siberian Nuthatch – Sitta arctica = Arctic Nuthatch – from Latin arcticus = northern, arctic – split from Sitta europaea (2006 recommendations), first described by Russian ornithologist Sergei Aleksandrovich Buturlin in Psovaia i Ruzheinaia Okhota, vol. 13 (1907) p. 87. Chestnut-vented Nuthatch – Sitta nagaensis = Naga Nuthatch – for the Naga Hills, on the border of India and Burma – first described by English geologist Henry Haversham Godwin-Austen in the Proceedings of the Scientific Meetings of the Zoological Society of London for the Year 1874, pt. 1, pp. 43–48, at p. 44. Kashmir Nuthatch – Sitta cashmirensis = for the Kashmir region in India – described, albeit very brief, by Irish ornithologist William Edwin Brooks in the 1874 Proceedings of the Asiatic Society of Bengal, Sept. (1874) pp. 209–210, at p. 209. Indian Nuthatch – Sitta castanea = Chestnut-coloured Nuthatch – from Latin castaneus = chestnut-coloured – was Chestnut-bellied Nuthatch before split from S. cinnamoventris and S. neglecta (2005 recommendation), first described by French naturalist René Primevère Lesson as Sittelle marron (Chestnut-coloured Nuthatch) in his Traite d’Ornithologie (Paris: F.G. Levrault, 1831) p. 316. Chestnut-bellied Nuthatch – Sitta cinnamoventris = Cinnamon-bellied Nuthatch – from Latin cinnamum = cinnamon, and venter = belly – split from S. castanea (2005 recommendation), collected by James Franklin, described by English zoologist Edward Blyth in the Journal of the Asiatic Society of Bengal, vol. 11, no. 125 (1842) pp. 363–471, at p. 459. Burmese Nuthatch – Sitta neglecta = Neglected Nuthatch – from Latin neglectus = ignored, neglected – split from S. castanea (2005 recommendation), collected from the Toungoo District in Burma and described by Scottish ornithologist Arthur Hay, who is generally listed as Walden as he became Viscount Walden, in the Annals and Magazine of Natural History4, vol. 5, no. 27 (1870) pp. 153–232, at p. 218. White-tailed Nuthatch – Sitta himalayensis = Himalaya Nuthatch – for the Himalaya Mountains – described by Scottish naturalist William Jardine and English ornithologist Prideaux John Selby in their Illustrations of Ornithology, vol. 3 (Edinburgh: W.H. Lizars, 1835) pl. 144. White-browed Nuthatch – Sitta victoriae = Victoria Nuthatch – for Mount Victoria (Nat Ma Taung), Burma – collected and described by G. Rippon in the Bulletin of the British Ornithologists’ Club, vol. 14, no. 107 (1904) pp. 83–84, at p. 84. Corsican Nuthatch – Sitta whiteheadi = Whitehead’s Nuthatch – patronym for British naturalist John Whitehead – collected by Whitehead in 1883, described by English zoologist Richard Bowdler Sharpe in the Proceedings of the Scientific Meetings of the Zoological Society of London for the Year 1884, pp. 233, 414–415. Algerian Nuthatch – Sitta ledanti = Ledant’s Nuthatch – patronym for Belgian botanist Jean-Pierre Ledant – most recently described nuthatch species, discovered on 5 October 1975 by a team led by Ledant during an expedition of the Djebel Babor mountain in the Petite Kabylie range of northern Algeria, described by Jacques Vieillard in Alauda, vol. 44 (1976), pp. 351–352. Krüper’s Nuthatch – Sitta krueperi = patronym for German ornithologist Theobald Johannes Krüper – collected by Krüper, described by Austrian ornithologist August von Pelzeln in the Sitzungsberichte der mathematisch-naturwissenschaftlichen Classe der Kaiserliche Akademie der Wissenschaften, vol. 48 (1863) pp. 149–151, at p. 149. Yunnan Nuthatch – Sitta yunnanensis = for Yunnan, province of China – collected by A.M.S. Wingate near Wei-yann, Southern Yunnan on 12 March 1899, described by Scottish ornithologist William Robert Ogilvie-Grant in the Bulletin of the British Ornithologists’ Club, vol. 10, no. 68 (1900) pp. 36–38, at p. 37. Red-breasted Nuthatch – Sitta canadensis = Canada Nuthatch – for Canada – described by Linnaeus in the 1766 edition of his Systema Naturae12, p. 177. Chinese Nuthatch – Sitta villosa = Hairy Nuthatch – from Latin villosus = hairy – described by French botanist and ornithologist Jules Verreaux in the Nouvelles Archives du Museum d’Histoire Naturelle de Paris, vol. 1, Bull. (1865) p. 78. White-cheeked Nuthatch – Sitta leucopsis = White-faced Nuthatch – from Greek leukos = white, and opsis = face – described by English ornithologist John Gould as White-faced Nuthatch in his Birds of Asia (London: John Gould, 1850) pl. 46, where he references the description as Proceedings of the Zoological Society of London, vol. 17 (1849) pp. 112–113, at p. 113 (doubtlessly the latter was published later though dated earlier). Przevalski’s Nuthatch – Sitta przewalskii = patronym for Russian naturalist Nikolay Prjevalsky – split from S. leucopsis (2005 recommendation), described by Mikhail Berezowski and Russian ornithologist Valentin Bianchi in their Ptitsy gansuiskago puteshestviia G.N. Potanina 1884–1887 (St. Petersburg: Akademii nauk) pp. 119–120. White-breasted Nuthatch – Sitta carolinensis = Carolina Nuthatch – for Carolina, U.S.A. – described by British naturalist John Latham in his Index orntihologicus, vol. 1 (London: Leigh and Sotheby, 1790) p. 262. Pygmy Nuthatch – Sitta pygmaea = from Latin pygmaeus = dwarf, pygmy – described by Irish zoologist Nicholas Aylward Vigors in the Zoology of Captain Beechey’s Voyage (London: Henry G. Bohn, 1839) p. 25. Brown-headed Nuthatch – Sitta pusilla = Tiny Nuthatch – from Latin pusillus = very small, tiny – described by British naturalist John Latham in his Index orntihologicus, vol. 1 (London: Leigh and Sotheby, 1790) p. 263. Western Rock Nuthatch – Sitta neumayer = patronym for Austrian botalist Franz Neumayer – collected by Neumayer in Ragula, Dalmatia, described by German zoologist Karl Michahelles in Isis von Oken, vol. 23 (1830) cols. 815–816. Eastern Rock Nuthatch – Sitta tephronota = Ash-backed Nuthatch – from Greek tephros = ash-coloured, and -notōs = backed – described by Richard Bowdler Sharpe in the Annals and Magazine of Natural History4, vol. 10, no. 60 (1872) pp. 450–451. Velvet-fronted Nuthatch – Sitta frontalis = from Latin frontalis = fronted – collected by American naturalist Thomas Horsfield in Java, decribed by English ornithologist William John Swainson as Blue Nuthatch in his Zoological Illustrations, vol. 1 (London: Baldwin, Cradock, Joy and Wood, 1820) pl. 2. Yellow-billed Nuthatch – Sitta solangiae = unknown, possible matronym for Solange de la Rochefoucauld – described by French-American ornithologist Jean Théodore Delacour and Pierre Jabouille in L’Oiseau et la Revue Française d’Ornithologie, vol. 11, no. 7 (1930) pp. 393–408, at p. 395. Sulphur-billed Nuthatch – Sitta oenochlamys = Wine-backed Nuthatch – from Greek oinos wine, and khlamus mantle – collected by J.B. Steere in the Philipine archipelago, described by English zoologist Richard Bowdler Sharpe as Dendrophila oenochlamys in the Transactions of the Linnean Society of London2, vol. 1, pt. 6 (1877) pp. 307–357, at. p. 338. Blue Nuthatch – Sitta azurea = Azure Nuthatch – from Latin azureus = azure blue – described by French naturalist René Primevère Lesson as Sittelle azur (Azure Nuthatch) in his Traite d’Ornithologie (Paris: F.G. Levrault, 1831) p. 316. Giant Nuthatch – Sitta magna = Great Nuthatch – from Latin magnus = great – described by British naturalist Robert George Wardlaw Ramsay in Proceedings of the Scientific Meetings of the Zoological Society of London for the Year 1876, p. 677. Beautiful Nuthatch – Sitta formosa = from Latin formosus = beautiful – described by Edward Blyth in the Journal of the Asiatic Society of Bengal, vol. 12, pt. 2 (1843) pp. 925–1011, at p. 938. The three species within the Luscinia genus in the Western Palearctic represent only one third of its total number worldwide; the remaining Luscinia species occupy the Eastern Palearctic region. Luscinia members are quite diverse and (up till now) closely related to the Erithacus robins and Tarsiger bush robins. Reference to both throat colour and robins in Luscinias is a remnant of the time when they were lumped with Erithacus robins. The non-true nightingales are all still classified within Luscinia on the IOC World Bird List for now – but for how much longer? Bluethroat – Luscinia svecica = Swedish Nightingale – from Latin svecica = Swedish. Siberian Rubythroat – Luscinia calliope = Calliope’s Nightingale – for Calliope, muse of epic poetry, daughter of Zeus and Mnemosyne. White-tailed Rubythroat – Luscinia pectoralis = Pectoral Nightingale – from Latin pectoralis = of the breast. Rufous-headed Robin – Luscinia ruficeps = from Latin rufus = rufous, red, and Latin suffix -ceps = -headed. Blackthroat – Luscinia obscura = Dusky Nightingale – from Latin obscurus = dark, dusky. Firethroat – Luscinia pectardens = from Latin pectus = breast, and Latin ardens = fiery, burning. Indian Blue Robin – Luscinia brunnea = Brown Nightingale – from Latin brunneus = brown. Siberian Blue Robin – Luscinia cyane = Dark-blue Nightingale – from Latin cyaneus = dark-blue, sea-blue. Rufous-tailed Robin – Luscinia sibilans = Whistling Nightingale – Latin sibilans = whistling, hissing. Etymologically, Luscinia seems to be a shortened form of luscicinia, referring to either canens in lucis, singing in the groves, or quod lugens canat, the lamenting singer. Linnaeus made no distinction between Thrush Nightingale and Common Nightingale in the entry for Motacilla Luscinia in his 1758 Systema naturæ. He used the old epithet of Luscinia to name the bird, which was used previously by Conrad Gesner in his 1555 Historiae animalium. It could be suggested that Linnaeus’s description is of Thrush Nightingale. 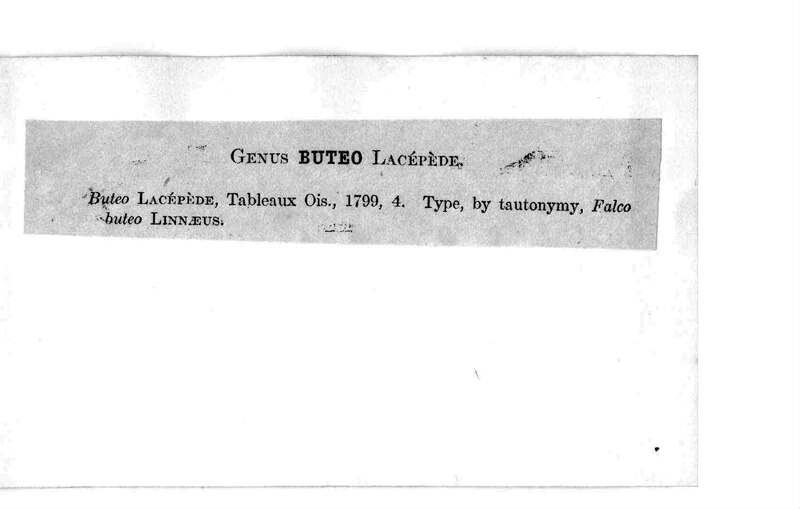 Earlier, in his 1746 Fauna Svecica Linnaeus seems to make a distinction between what is then not yet binominally called Motacilla Luscinia and a bird he refers to as Luscinia Minor. The latter can well have been Common Nightingale as opposed to the Thrush Nightingale described in the main entry. However, in the subsequent 12 years he seems to have changed his mind and reduced the variety to just Motacilla Luscinia, geographically distributed across Europe. Common Nightingale was not described until German ornithologist Christian Ludwig Brehm‘s 1831 Handbuch der Naturgeschichte alle Vögel Deutschlands, and thus a distinction was made between Common Nightingale and Thrush Nightingale. Both species are ultimately linked in namings all over Europe and further afield. As a general rule, where Common Nightingale is the only breeding species, it is referred to as (Common) Nightingale and Thrush Nightingale as Northern Nightingale; where Thrush Nightingale is the only species, it is called (Common) Nightingale, and Common Nightingale is referred to as Southern Nightingale. In the few countries where both are (common) breeding birds, their specific epithets are more descriptive. In Polish (PL) Common Nightingale is referred to as Rusty Nightingale (Słowik rdzawy), whereas Thrush Nightingale becomes Grey Nightingale (Słowik szary); in Romanian (RO) Common Nightingale is named for its nocturnal song (Privighetoare = one who never sleeps), whereas Thrush Nightingale is named for Greek Philomela (Filomelă), which is generally translated mistakenly as ‘lover of song’. In Ukranian (UK) Common Nightingale is known as Western Nightingale (Cоловейко західний) and Thrush Nightingale as Eastern Nightingale (Соловейко східний); in Russian (RU) Common Nightingale is also known as Western Nightingale (Западный соловей), whereas Thrush Nightingale is Common Nightingale (Oбыкновенный соловей). BE Sałaviej; BG Slavej; CZ Slavík; PL Słowik; RU Cоловей = Solovej; SK Slávik – these names seem to stem from a proto-Slavic solvij, which means nightingale, and is probably related to words for colour, such as glaucitas (old-Slavic slavoočije) and isabelline (RU solovoj). DE Nachtigall; DA Nattergal; IS Næturgali; NL Nachtegaal; NO Nattergal; SV Näktergal – singer of the night. ES Ruiseñor; FR Rossignol; IT Usignolo; PT Rouxinol – all go back to Latin luscinolus, from the masculine diminutive of luscinia. TR Bülbül; SQ Bilbili; AZ Bülbülü; FA بلبل – references go back to the Persian poetic images of gol and bolbol, rose and nightingale. Hungarian (HU) Fülemüle (Common Nightingale; Thrush Nightingale = Nagy fülemüle, Great Nightingale) could be related to both IT Usignolo and TR Bülbül, since Magyar has taken on many influences from both the East and the West. German (DE) Sprosser (Thrush Nightingale) – from DE Sprossen = spots. There are currently 46 species of Corvus crows on the IOC World Bird List. Of these only 8 species show any amount of white or off-white coloration in their plumage. This leaves us with 38 different black crows, 38 shades of black. How have they been described? In short: with little reference to colour. Taking all Corvus species, here is a list of the scientific names with translations. House Crow – Corvus splendens = Brilliant Crow – from Latin splendens = brilliant, shiny. New Caledonian Crow – Corvus moneduloides = Jackdaw-like Crow – from Latin monedula = Jackdaw (literally, money-eater) and Greek -oidēs = resembling. Slender-billed Crow – Corvus enca = Enca Crow – enca is a Javanese name for crow. Violet Crow – Corvus violaceus = Violet-coloured Crow – from Latin viola = violet, and -cues = like. Piping Crow – Corvus typicus = Typical Crow – from Latin typicus = typical, type. Flores Crow – Corvus florensis = for Flores, one of the Lesser Sunda Islands. Mariana Crow – Corvus kubaryi = patronym for Polish naturalist Jan Stanisław Kubary (1846-1896). Long-billed Crow – Corvus validus = Strong Crow – from Latin valere = to be strong. White-billed Crow – Corvus woodfordi = Woodford’s Crow – patronym for British naturalist Charles Morris Woodford (1852-1927). Bougainville Crow – Corvus meeki = patronym for English bird collector and naturalist Albert Stewart Meek (1871-1943). Brown-headed Crow – Corvus fuscicapillus = from Latin fuscus = brown, and -capillus = capped. Grey Crow – Corvus tristis = Sad Crow – from Latin tristis = sad. Cape Crow – Corvus capensis = for Cape of Good Hope, South Africa. Rook – Corvus frugilegus = Fruit-eating Crow – from Latin frugis = fruit, and leger = to pick. American Crow – Corvus brachyrhynchos = Short-billed Crow – from Greek brakhus = short, and rhunkhos = bill. Northwestern Crow – Corvus caurinus = from Latin caurus = north-western wind. Tamaulipas Crow – Corvus imparatus = Unprepared Crow – from Latin imparatus = unprepared. Sinaloa Crow – Corvus sinaloae = for the Free and Sovereign State of Sinaloa, Mexico. Fish Crow – Corvus ossifragus = Bone-breaking Crow – from Latin os, ossis = bone, and frangere = to break. Jamaican Crow – Corvus jamaicensis = for Jamaica. Cuban Crow – Corvus nasicus = Large-nosed Crow – from Latin nasus= nose. White-necked Crow – Corvus leucognaphalus = White-mouthed Crow – from Greek leucos = white, and gnaphos = mouth. Hawaiian Crow – Corvus hawaiiensis = for Hawaii, U.S.A.
Carrion Crow – Corvus corone = Crow – from Greek korōnē = crow (derived from onomapopoeic krōzō = to croak). Hooded Crow – Corvus cornix = Crow – from Latin cornix = crow (synonymous with corvus). Large-billed Crow – Corvus macrorhynchos = from Greek makrorrhunkhos = long-billed. Torresian Crow – Corvus orru = unknown, probably based on a Papuan name for crow. Little Crow – Corvus bennetti = Bennett’s Crow – patronym for Australian naturalist George Bennett (1804-1893). Forest Raven – Corvus tasmanicus = Tasmanian Raven – for Tasmania. Little Raven – Corvus mellori = Mellor’s Raven – patronym for English chemist Joseph William Mellor (1869-1938). Australian Raven – Corvus coronoides = Carrion Crow-like Raven – from Corvus corone = Carrion Crow, and Greek -oidēs = resembling. Pied Crow – Corvus albus = White Crow – from Latin albus = white. Brown-necked Raven – Corvus ruficollis = Rufous-necked Raven – from Latin rufus = red, rufous, and collum = neck. Somali Crow – Corvus edithae = Cole’s Crow – matronym for British bortanist and entomologist Edith Cole (1859-1940). Northern Raven – Corvus corax = Raven – from Greek korax = raven. Chihuahuan Raven – Corvus cryptoleucus = Covert White-feathered Raven – from Greek kruptos = hidden, and leukos = white. Fan-tailed Raven – Corvus rhipidurus = from Greek rhipis = fan, and oura tail. White-necked Raven – Corvus albicollis = from Latin albus = white, and collum = neck. Thick-billed Raven – Corvus crassirostris = from Latin crassus thick, heavy, and rostrum = bill.